Around this time last year I hosted a lunch at the London Rowing Club on the day of the Oxford and Cambridge Boat Race. As sponsors of The London Rowing Club, the club had very generously lent me one of their rooms at the boat house. I spent some time wandering about admiring all the silver ware and trophies the club had won over the years, and examining the paintings and Spy cartoons of past members all immaculately turned out in rowing blazers and flannels. I spotted a large painting over a fireplace that had been painted by Cosmo Clark, RA in 1956 to celebrate the club's centenary and I was very taken with it, so much so that I commissioned it to be photographed and passed the images onto our design department with the brief that they should turn the photographs into a print and apply it to casual short sleeve shirts, swimming shorts and silk pocket squares. With prints being all the rage at the moment it seemed the right time to introduce our exclusive London Rowing Club range. Again, I shall be at the Boat Race this year but given that the weather is usually pretty cold I doubt that I shall be wearing the shirt or shorts just yet but I will certainly be sporting the pocket square. It's an awfully long time since I posted anything and when I had lunch the other day with Tom Stubbs, the fashion editor of the FT How to Spend it Magazine, and explained to him that I had a blog that I updated maybe two or three times a month he was aghast that it was so little. I then added that I hadn't posted anything for several months siting being too busy, when in fact it is probably more like laziness. So if I have any readers left, out of guilt I thought I better put pen to paper or rather fingers to keyboard. I have just returned from a Hackett shop opening in Singapore, which went exceedingly well. Flying back by Malaysian Airways I was the only passenger in 1st class, I wondered if it had anything to do with the missing aircraft. Having watched all the films I wanted on the way over I delved into a book on the life of the Author William S Burroughs and whilst his lifestyle appears to have been extremely hedonistic, when it came to dressing his choice of clothing was austere. 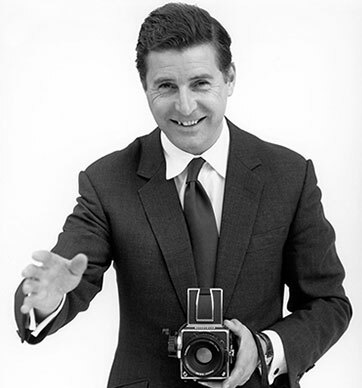 I noted that he mostly wore dark three piece suits with English style striped Jermyn St shirts and discreet polka dot ties. Owing to his long narrow feet he had his shoes made at Lobb in St James's, I started to like him a lot more. 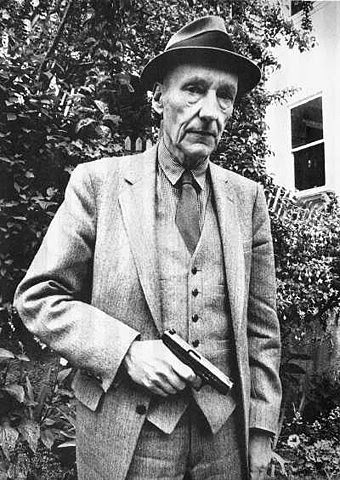 In future when asked by journalists who I rate as a stylish dresser, I shall add William S Burroughs to my list as he clearly was a distinguished looking man about town. Although disappointingly reading on further, I see that friends tried to encourage him to become more "with it" by buying him flared trousers and high heeled boots leading one journalist to comment upon meeting him that he was wearing 'seemingly too tight trousers for a man of his age.' I shall make every effort not to succumb to the advice of my friends.